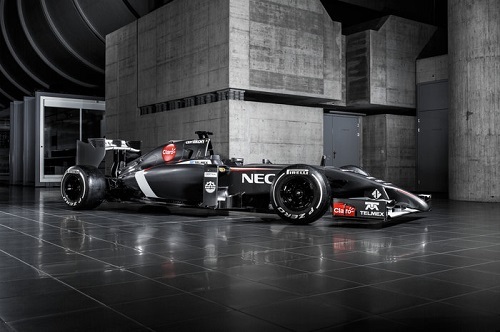 Formula 1 2014 – The Wait is Over! The Motorsport off-season is finally over as the 2014 season of Formula 1 kicks off this weekend with the Australian grand prix. 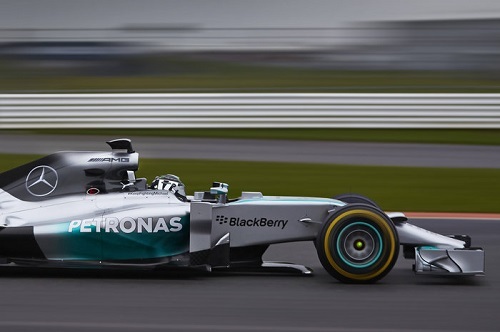 There are new cars, new drivers, new rules and a new level of dedication towards the sports greatest, Michael Schumacher. Ahead of the season opening race, we start a series of F1 articles that will highlight our favourite races, our favourite past drivers, the most spectacular crashes and of course our picks for different events. Today we will start with a quick overview of the changes and the teams. There has been a change to the tyre rules that often saw Q3 an under supported session of qualifying as teams looked to conserve tyres. The change means that your race tyres will be the ones from session 2, which I think is a good rule change. There is also the new nose cones that have a much lower clearance from the road and on many of the cars looks like something you would find on the Ann Summers website rather than a racing car. We will also see more economical engines that should lower the cost and probably lower the speed too, but to negate that there are now two recovery systems. This will aid the performance of the cars so that we are still watching beasts around the track. In 2014 the Formula 1 drivers finally get to follow their dreams of being international footballers, well to a slight degree at least, as they get to pick the number that goes on the car. Vettel of course keeps number 1 as World champion (His career number he chose is 5), while Hamilton and Alonso both chose their first racing number. Rosberg chose his fiance’s lucky number while Maldonado dons the no 13 as an omen to how many accidents he will cause this year? Amidst all the excitement, and some fine new rules, comes quite obviously the worst rule in the history of sport. 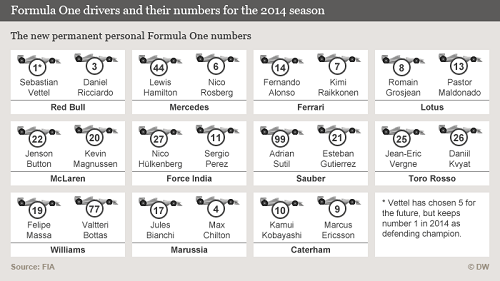 Yes, one race in the year is going to count twice as much as any other. Essentially crashing out in the last race of the year could cost you quite a few places in the standings. It’s a ridiculous notion that, quite honestly, will give voice to many F1 naysayers again. It just leaves me with a horrible feeling of Oi Vey! Getting excited for the first race as we see if Alonso can win, if Hamilton can command or if anyone can stop the train that is Sebastien Vettel. F1 is back!